Sarah Williams | Meeting them where they’re at in Primary PE! If you are a PE a teacher listen to this podcast. Great interviews and resources! PE collaboration amongst professionals ? Good sharing platform, ideas, experience, reflections, food for thought for professional physical educators. CPD / resources be good to share. Wealth of information for PE and Health Teachers. Has helped inspire me to raise my standards for physical education. The PE Umbrella is an excellent resource for all primary teachers. The podcasts are full of fantastic top tips for making PE lessons fun and engaging for children. An absolute must to download! A fantastic series from a brilliant PE teacher. I use it all the time. Loads of hugely practical and very useful ideas every week. Brilliant range of interviews of people from a variety of different roles and backgrounds. Really enjoying listening to these! Keep up the good work! A great podcast for both new and experienced teachers. An excellent and informative podcast, which is jam packed full of ideas. Simply a must listen for any primary school teacher. Useful links and resources that I have implemented into my teaching and are working a treat. Keep up the good work Ryan and I am already looking forwards to the next one. Thanks ???? Ryan’s podcast and website are extremely useful. Keep up the good work Ryan! A great podcast with loads of useful tips. 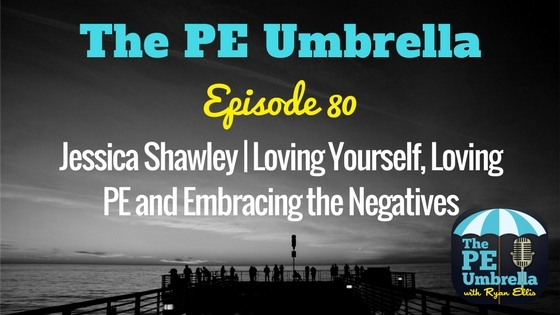 Become part of the PE Umbrella Community and stay up to date with all things Under the Umbrella! Stay connected on all things PE Umbrella by joing our mailing list!